or you will be redirected in 10 seconds to the new home page where you can find this on the RECIPE dropdown menu under BAKING . I just saw this on RecipeNewZ. Oh my, this tart is perfect! How beautiful, elegant and CHOCOLATEY! I'm in love! 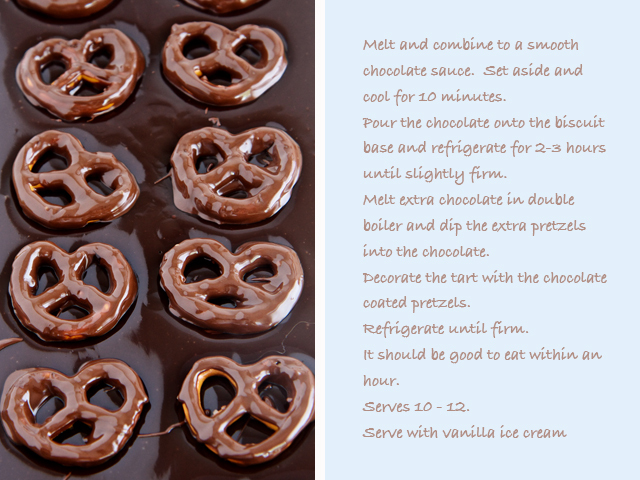 Also love the idea of using pretzels for the crust. I think it's the first time I'm hearing about that. Thanks for sharing, this recipe is a keeper! 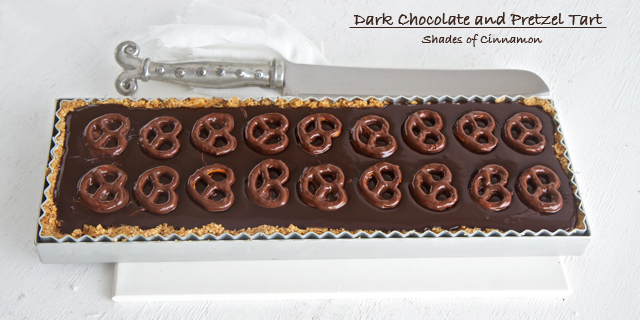 The salty pretzels taste so good with the dark chocolate, and its so easy to make. I hope you enjoy it. This looks very delicious. It is a fancy-looking treat that is easy to make. Thanks for sharing! Love pretzels. Love chocolate. So I'm pretty sure that I will love this tart. Thanks for sharing!